Paul loved the Thessalonians. The brief time he was in the city, he worked hard and loved on the people there. They bore witness to the work that Paul and Silas did in sharing the Good News and making disciples. And he wanted them to follow in his footsteps. He cared for them like a father to his children. Let us this week care for those around us like that. Let us work hard and love on the people around us. Let us share the Good News and be about making disciples and encouraging others to do the same. The Thessalonian church made an impact. They received the Gospel from Paul and accepted it. Not only did they accept it, they shared it as well. They became “an example” as Paul mentions in his letter to all the believers in the region. People throughout Macedonia and Achaia knew of the work and the faith that the Thessalonians had. They were faithful in the Gospel. They were strong believers in Jesus Christ. They were persevering through persecution. This week, let us be like the Thessalonians. Let us love others with the love of Christ. Let us go out and share all that Jesus has done for us. At let us persevere in serving and loving God with all we are. You know how sometimes you just get inspiration to write? Well this was one of those times. I thought about adding another regular writing series to this blog. I was inspired to write about my favorites so now we will have “Friday Favorite”. I don’t know if it will be a weekly thing of or just some Fridays but you have to start somewhere right? This film is my favorite of the Star Wars saga. Now I will say that A New Hope and Return of the Jedi are right up there. But The Empire Strikes Back has a special place in my heart. As a kid there was three reasons why I loved Empire: AT-ATs, Boba Fett & Luke Skywalker’s lightsaber duel with Vader. The All Terrain Armored Transport (or AT-AT) was the coolest vehicle the Imperials had. They were massive and they were awesome. The Battle of Hoth was the only one the Imperials won in the trilogy (though one could say the Rebels won because their main objective was getting off the planet) and it was due in large part to the AT-ATs. If there was any Imperial vehicle I wanted, it was the AT-AT. Boba Fett. As a kid, he was simply one of the coolest guys ever saw in a movie. I guess you could still say I still think he’s one of the coolest. He wasn’t necessarily a bad guy. He just wasn’t a good guy. He was simply doing a job and getting paid. But he was bad because he wanted Han Solo to take back to Jabba the Hutt. Even Vader respected Fett. 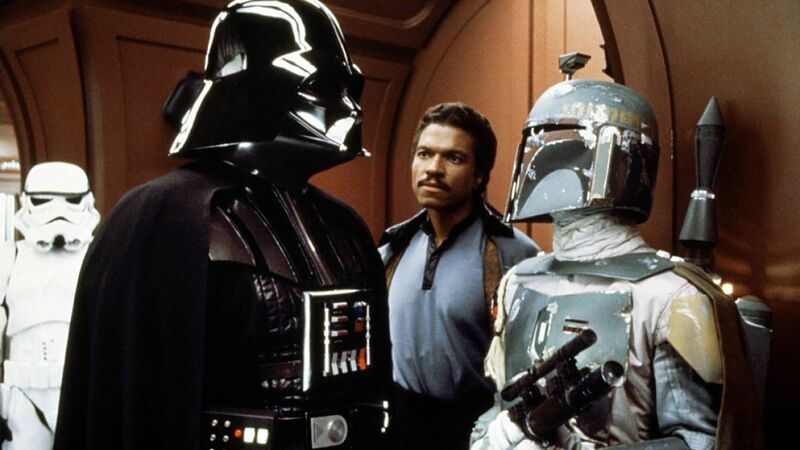 One thing about Boba Fett, he was a bounty hunter you did not want to mess with. Luke vs. Vader. 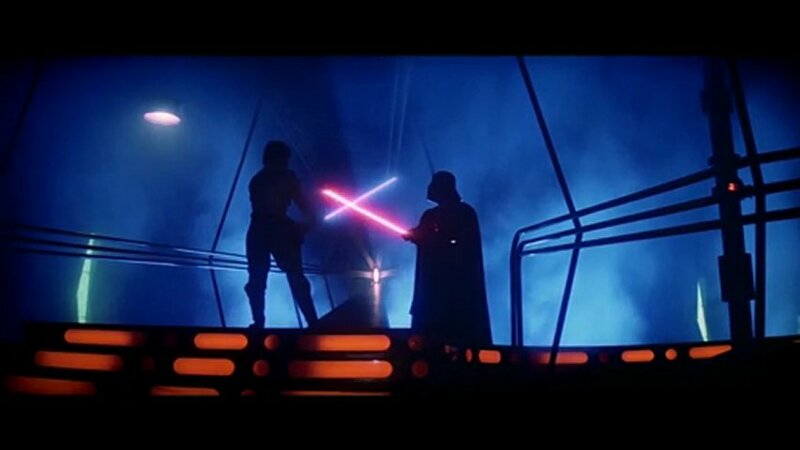 Growing up, this was the lightsaber fight. It’s hard to compare this one to the one in Return of the Jedi. But this one had the raw emotion. Luke was still trying to find himself as a Jedi. And he had to learn from this experience. But it was a really cool fight with some really cool fight scenes. The older I’ve gotten, the more I’ve found other things I appreciate. I love the interaction and banter between Han and Leia. I became a huge fan of Wedge and loved when he took down the AT-AT with his snowspeeder. I appreciated that it wasn’t a “happy” ending but a “hopeful” ending. 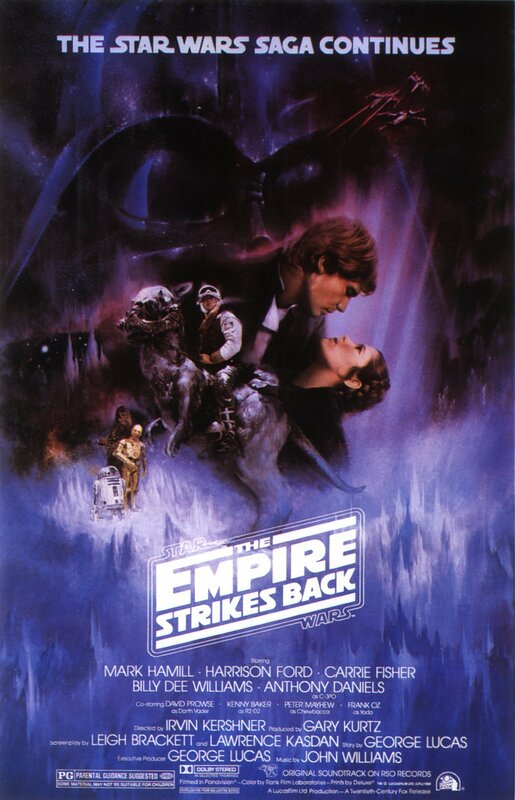 The Empire Strikes Back is my go-to film. It is a great way to start off this “Friday Favorite” series. “For this perhaps is why he was parted from you for a while, that you might have him back forever, no longer as a bondservant but more than a bondservant, as a beloved brother—especially to me, but how much more to you, both in the flesh and in the Lord. Reconciliation. If there is any word that sums up the book of Philemon it’s that one. Paul is writing to a fellow believer in Philemon in hopes that there will be reconciliation between Philemon and Onesimus. Paul knows (and wants Philemon to know) that it is important in the life of a believer that there is peace among other believers. Onesimus was a slave of Philemon’s who ran away and ended up in Rome where he heard the gospel preached by Paul and became a Christian. As much as Paul would’ve loved to have Onesimus stay with him in Rome, he knew that Onesimus needed to go back to Colosse and reconcile with Philemon. Paul also knew that Philemon needed to receive Onesimus not as a slave but as a brother in Christ. Philemon needed to do the right thing and Paul trusted that Philemon would do that. Reconciliation is important in the life of a Christian today. We need to be reconciled to God and we need to be reconciled to fellow believers. We are only able to do that because of Jesus. When we do reconcile, our relationships are restored and we’re able to follow Jesus better. This week, let us seek to restore our relationships with God and with one another.